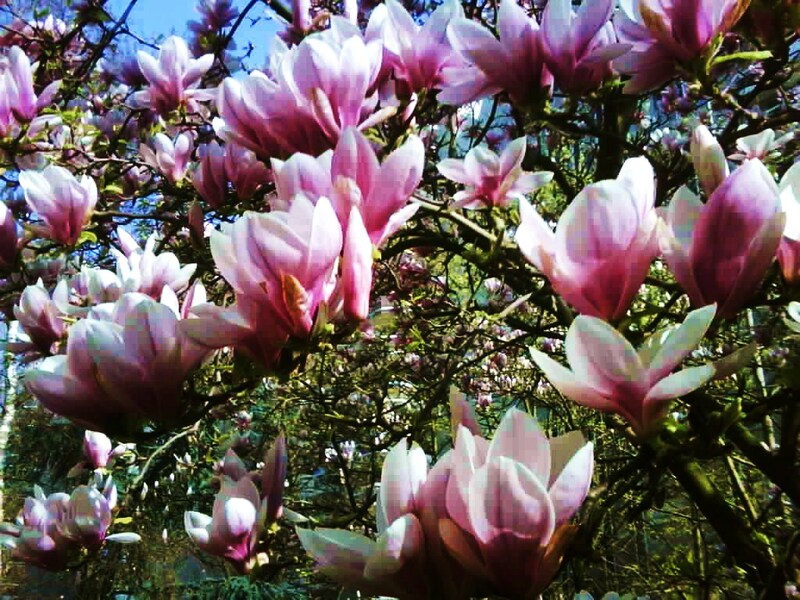 It was around mid March when the magnolia first tendered its blushing young buds to a waiting spring. Its juvenile leaves stood pert and fresh against crystalline skies. It was in full flower within a few days and its magnificence was a wonder to behold. And God looked upon the pink of the flower and the green of the leaf and saw that they were good. He then sent the winds from the north to blow upon that magnolia and those sweet blossoms fell all around turning the land to a carpet of fading white. It was March 19th to be exact when three little kiddies set out for school on foot; two of them with their Dad and another, big enough to walk on her own. Another young man set out for that same school on that same morning but he was on a scooter. They all arrived at the gate at the same time. The young man took out his gun and shot those kiddies and that Dad down. And God looked upon the blood of the innocent as it stained the pavement and noticed the young man had filmed his deed. And God saw that all was not good when the little ones die and young men go on pathological missions. He then sent dozens of men in black balaclavas and bullet proof vests to blow that young man to another world. It is Easter weekend – early April. The magnolia is flowerless and the wind carries a winter chill. The blood has faded on the pavement outside the school gates. The police are still investigating how it came to pass and the media has moved on to covering other “events”. I know the Dad was a rabbi and the school was for Jewish children. I don’t know their names but I do know they were sweet blossoms that fell before the wind could loosen their grip on life. They were not French or Israeli; they were not Arab or Jewish; they were just 4 and 6 and 9 years old. And how did the mind of the young man on the scooter get so confused that it could conceive of slaughtering kids on their way to school? How did this same mind conceive of a perfectly orchestrated plan to carry out the deed and film it for potential public consumption via the Arab world’s news network? And God replied “To everything there is a season, and a time for every purpose under heaven………a time to love, and a time to hat e”* And God saw that this was a good response because it helped with the healing and made sense out of the senseless. He also sent his only son so that whoever believed in him would not be lost but should have eternal life**. And following God’s plan, this same young man took up his cross, accepted to be nailed to it, died and was seen again three days later in a transfigured form. And while biblical brothers continue to kill each other and each others’ children, the “Children of Israel” commemorate the Exodus from slavery in Egypt and Christians, inextricably linked to this history, remember the Jewish man sent by God to save them. 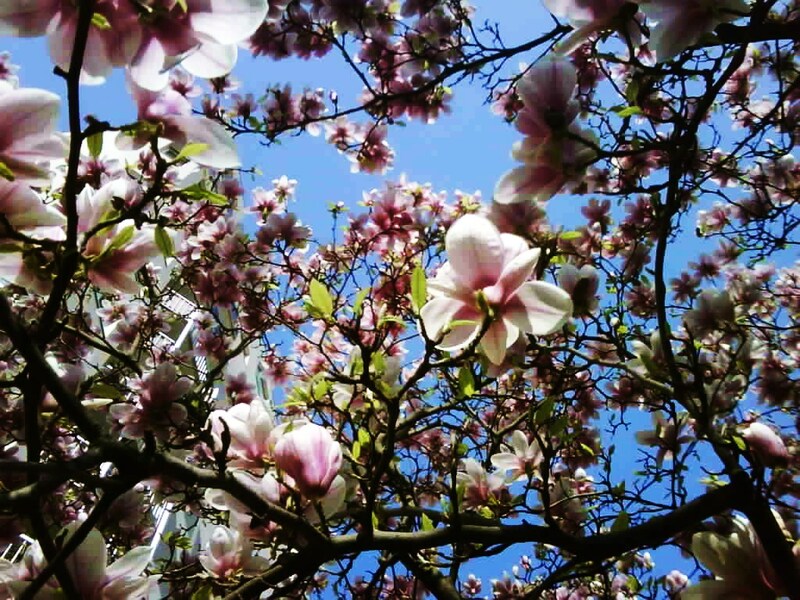 If you feel like you’ve lost the plot and God is out to lunch, let your eyes see what your heart can love: your children and your grand children and their children’s children and the magnolia that will bloom again next spring. And God will see that, that is good. ** The Gospel of John – JB Phillips – The New testament in Modern English.